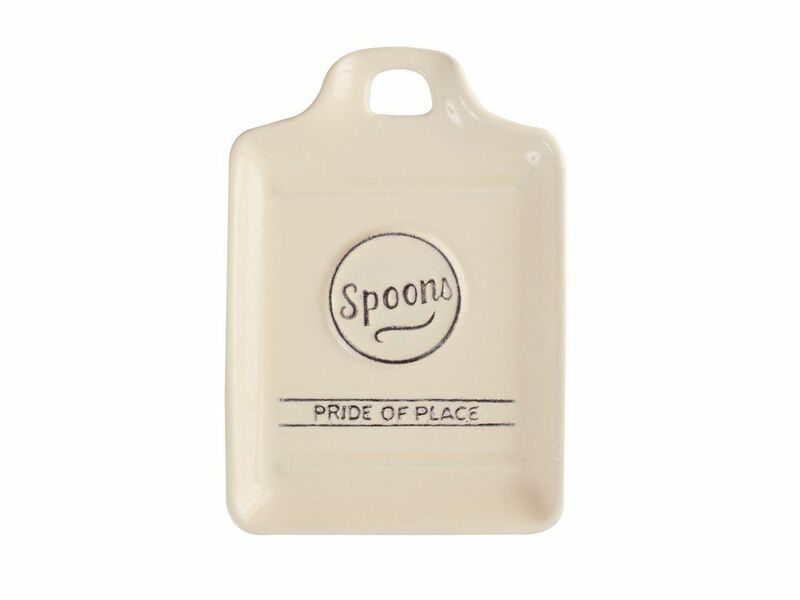 The Pride of Place spoon rest in old cream will make a useful addition to your kitchen. Large enough to rest spoons during cooking but not too large to take up space on your work top. With a retro feel and lovely old cream finish, this ceramic spoon has vintage wording and a cute little side handle.